Brown Ferguson kept faith in the same starting eleven that had played Albion Rovers on the Saturday when they had won their first home league game of the season. This game had originally been scheduled for the 3rd of December and had been cancelled due to Stenhousemuir’s cup replay against Forres being played that day. Since that date a lot has happened at both clubs with Stenhousemuir picked up two wins in the last three games whilst East Fife had more drastic alterations with a change in manager as Barry Smith took over from Gary Naysmith who had moved on to Queen of the South. Smith had won his only game in charge and East Fife were looking to win three games in a row. The weather conditions that met both teams wasn’t conducive to good football with a blustery wind and squally showers throughout the game. In the early stages Alan Cook picked up a head knock and had to go off for treatment on more than one occasion to stem the bleeding . Although this was an inconvenience for the Warriors worse was to follow in the 12th minute when Kevin O’Hara on loan from Falkirk scored his second goal in two games with a top class finish that gave Colin McCabe no chance. Stenhousemuir were having to work hard to create openings against a well organised and hard pressing East Fife side who closed down from all areas of the pitch. They did create a decent chance with a well worked move in the 28th minute that ended when ColIn McMenamin could only half volley a Ciaran Summers cross into the ground and the danger was cleared. The home side thought that they had been given a lifeline in the 36th minute when referee Mike Roncone awarded a penalty after McMenamin was fouled. The only query appeared to be where the foul took place and the East Fife defenders protested. After consultation with the assistant referee Mr Roncone decided that it wasn’t a penalty and to the bemusement of everyone decided on a drop ball instead. In the second period East Fife almost doubled their lead within a couple of minutes of the restart. Stenhousemuir attacked from a long throw into the box and Kieran Millar’s shot was saved by Ryan Goodfellow. A swift counter attack was made and O’Hara tucked the ball away from close range but luckily for Stenhousemuir he had just mistimed his run and was flagged offside. The counter attacking football was to be a feature of the second half and Scott Robinson had a decent strike pushed out for a corner by McCabe. From the set play Jonathan Page beat everyone to the ball and headed goalwards only for McCabe to save once again. This would have a controversial strike as McMenamin had been fouled when the corner was taken. 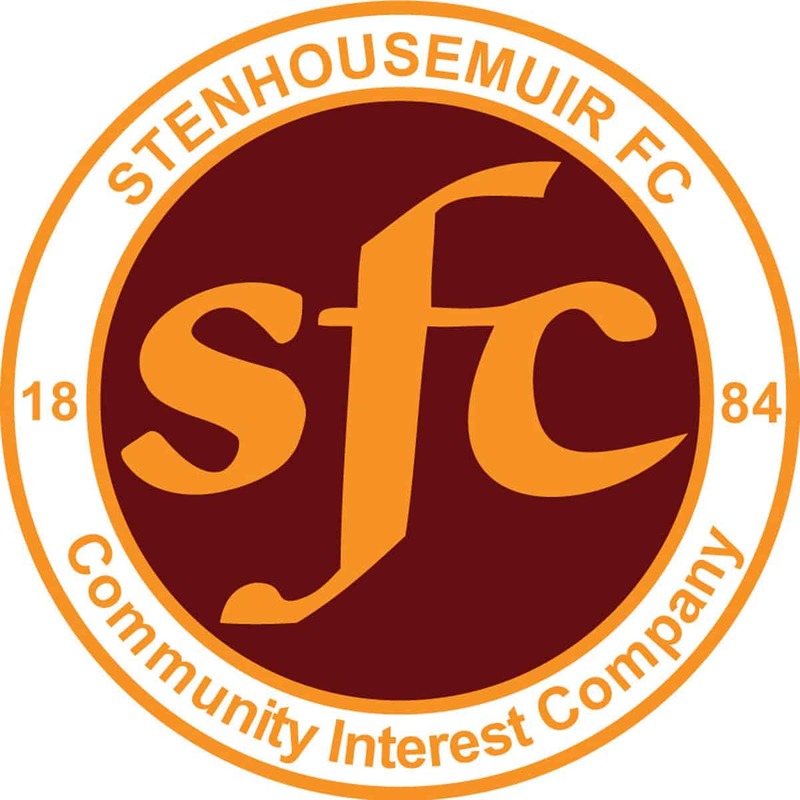 In the 72nd minute the best move of the game for Stenhousemuir ended with a Cook shot being saved by Goodfellow’s legs and when Willis Furtado headed the rebound back to goal it was cleared off the line by Scott Mercer. The keeper was injured in the process and was replaced by Scotland U21 keeper Mark Hurst. Furtado came close with another effort that was blocked after a one-two in the box created an opening but there was to be no way through. In the last minute trialist Scott Walker came on to add aerial power to set plays but he didn’t get a chance to make a difference as a poor delivery from a free-kick extinguished hope of the Warriors getting something out of the game. The final whistle blew with East Fife getting revenge for the last outing when it was Stenhousemuir’s time to win by a solitary goal.